The Broadway production "Something Rotten!" coming to Overture Center purports to tell the story of the first staging of musical theater. From authentic Baroque music performances and the alleged story of of the first musical, to intriguing guest musicians brought to town by the Madison Symphony Orchestra and the Mead Witter School of Music, October promises an array of great concerts. 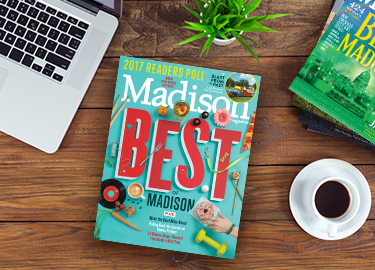 Whatever the season, Madison Bach Musicians founder Trevor Stephenson never fails to present enticing programs in compelling performances. On Oct. 5, 6 and 7, MBM offers a musical meeting of two great contemporaries who never met in life: J.S. Bach and Handel. Featuring Chelsea Shephard, a soprano, and concertmaster Kangwon Kim, a violinist, audiences at each of three venues will enjoy selections from the two Baroque giants. Fridayâs event is at Grace Episcopal Church, Saturday at Immanuel Lutheran (both of these at 8 p.m., with a not-to-be-missed 45-minute pre-concert lectures by Stephenson) and Sundayâs presentation at 3 p.m. at Historic Park Hall in Sauk City. The first touring Broadway show at Overture production to inhabit Overture Hall this season is âSomething Rotten!â a story set in 1595 that purports to tell how the first musical theater piece came to be written. It seems two brothers who just canât get a break as playwrights â" what with that Shakespeare guy hogging all the attention â" learn from a soothsayer that future stag e productions will include acting, singing and dancing at the same time. The rest is history, with plenty of hilarious bumps in the road, of course. There are eight performances, running Oct. 9-14. We are delighted that Robert and Kathy Taylor are leading their con vivo â¦ music with life! into its 17th season. The fall concert is on Saturday, Oct. 13, at 7:30 p.m. at the First Congregational Church. The venue is spacious and inviting, and so is the post-concert reception, where you can ask the artists questions about what youâve just heard â" which, in this case, will be music of Mozart, Rheinberger and Bach. John DeMain will be in Barcelona, Spain conducting Bernsteinâs âCandideâ as part of the worldwide celebrations of the centennial of the birth of composer Leonard Bernstein. The absence of DeMain for MSO's Oct. 19-21 concerts means Madison Symphony a udiences will get to experience the artistry of two intriguing guests. The conductor will be the dynamic Canadian Tania Miller. If youâre thinking sheâs a relatively unknown newcomer whoâs getting a break here, think again: Miller has guest conducted the Chicago Symphony Orchestra, and a slew of others worldwide. Miller will open with a work she premiered, âHome,â by Michael Oesterle. The piece is about the immigrant experience â" and the composer himself qualifies, having emigrated from Germany to Canada in 1982. The featured concerto is the sublime âCello Concertoâ by Edward Elgar, played by Zuill Bailey â" who has been everywhere and won just about everything, including a Grammy. Yours truly witnessed a number of his performances in Santa Barbara, California, in the late 1990s. The concert closes with Tchaikovskyâs great âSymphony No. 5,â and based on what we heard last month in the opening program of DeMainâs 25th season with MSO, it should be a bla zing performance. There are always so many excellent, fascinating â" and often free â" performances at the University og Wisconsinâ"Madison Mead Witter School of Music that readers are urged to go online and check out the schoolâs schedule for themselves. One event that stands out is the Oct. 28 appearance of cellist Clive Greensmith, who spends most of his time teaching cello and chamber music at the Coburn School and the university of Southern California Los Angeles. He spent 15 years as cellist with the Tokyo String Quartet. His 7:30 p.m. recital at Mills Hall will be a major treat. Greg Hettmansberger covers opera, jazz and classical music for madisonmagazine.com. Oops. Something went wrong. Please wa it a minute and refresh your browser.